the visit of EUH. the Amir of Qatar to RiySdh. announcement of his succession to the throne. 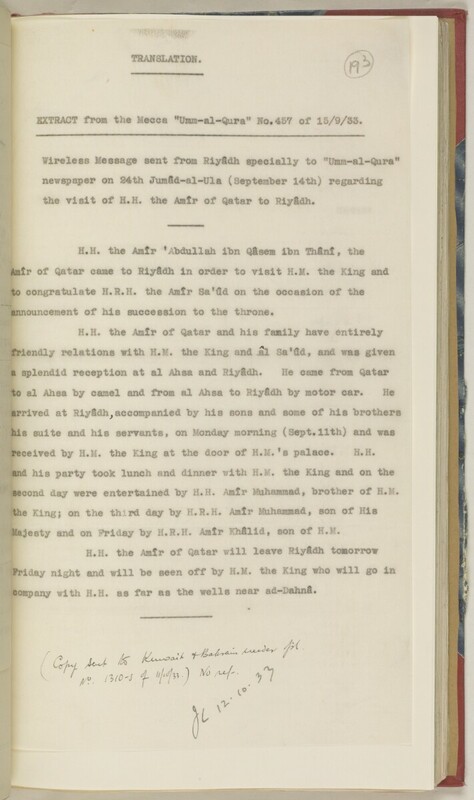 received by H .M* the King at the door of H .M. 1 s palace. H.H. second day were entertained by H.H. Amir Muhammad, brother of H .M. Majesty and on Friday by H.R.H, Amir Khfilid, son of H .M. ©crapany with H.H. as far as the wells near ad~Dahnll.